The door industry is rife with impostors who would sell you a small sliding door that bends and cracks on wimpy hardware and poor track systems. Those companies will leave you with a door that does not open or close properly within the first year. Moreover, their doors are not straight from the start, they are more prone to warping over time, and they are too heavy for proper use. With those types of doors you will destroy your expensive door hardware and the precious door frame, door jambs, and moulding around the door. 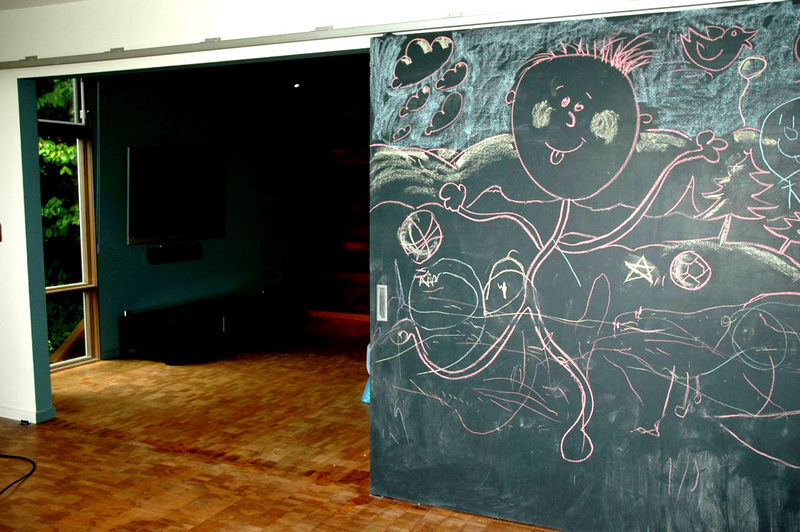 That is why we absolutely advise you to do your homework before you buy a large sliding door. First of all, it is important to keep in mind that doors need to be large to impress people. If you use a small door for your high end residential or commercial application, customers and visitor. Large doors are better. There is no question about it, but they do present challenges of their own, which people don’t always think about before purchasing. Most companies will sell you a door that is not built in the proper way to accommodate larger opening. We have found a better way to build this. Our doors are guaranteed. Many other companies call this “Mission Impossible.” No one else can do this. But we can do it! 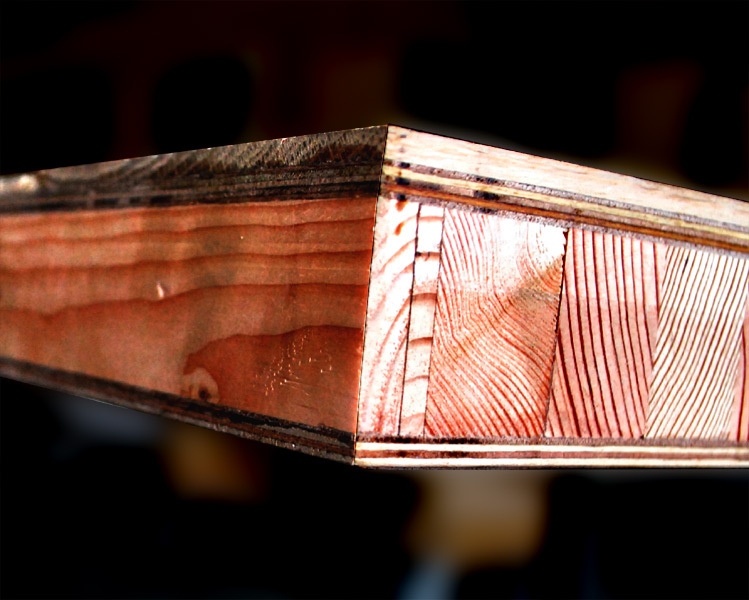 We have found that to make a door that lasts 50 or 100 years, you must start with the best door cores. The core is so important, because door cores offer structural reinforcement and can dramatically change the weight of the door. That is why hollow core doors have become so prevalent in the last century. Doors can be lighter with hollow, but the price is strength and dimensional stability. Hollow core doors can be pushed through with a finger. They are also highly prone to warping, twisting, and skewing, because they have no solid matter inside the door to prevent these kinds of defects. Our doors have material all the way through. There are no void areas inside the door to compromise structural strength and stability. That is one reason our doors can be so much larger and stronger than competing door. We’re also the only company that can offer you a 50 Year Guarantee with our professional grade product. 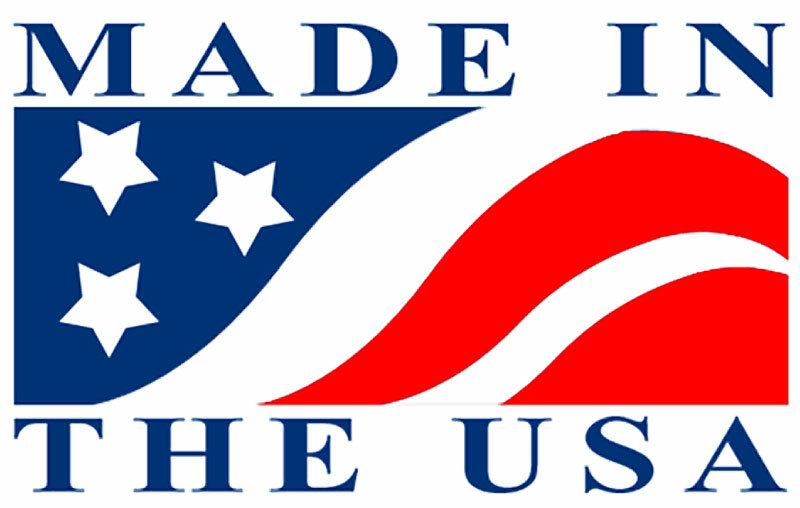 With our patented and patent pending design, we make doors that are lighter than the competition. All companies realize that one of the greatest problems of large sliding doors is excessive weight that causes problems with the hardware, door jamb, door frame, and areas around the door. With our special, eco-friendly designs Sing Core has figured out how to make doors that are up to 90% lighter than comparable panels. 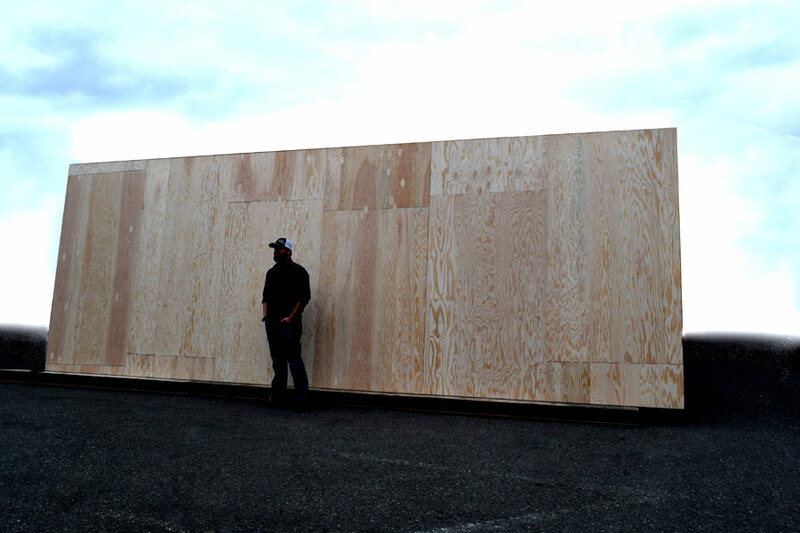 Your doors can be made with an HPL skin, plywood substrate, HPL, FRP. 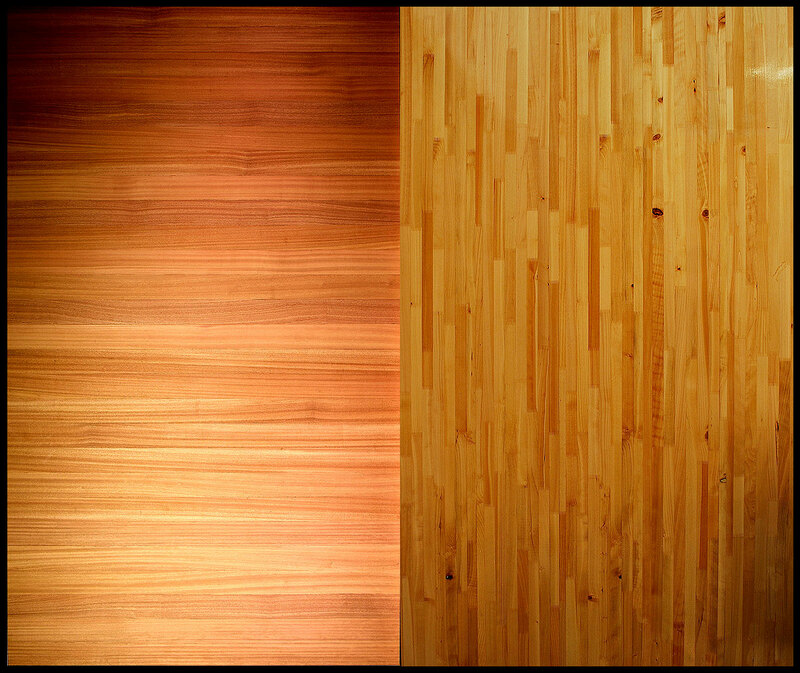 Depending on your budget, we can apply soft wood or hard wood plywood, hard wood veneer, soft wood or hard wood 1/8th inch wood stave. There are so many skins available. 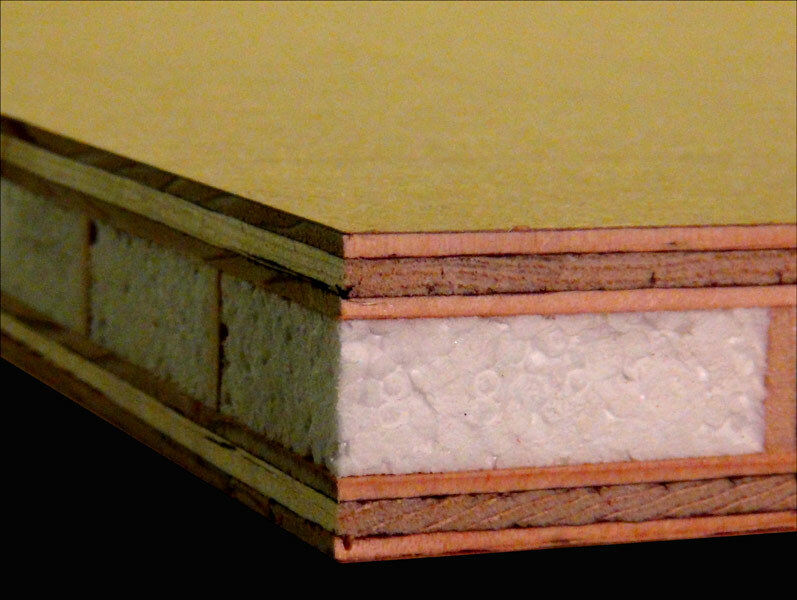 You can use any kind of skin on our panels. 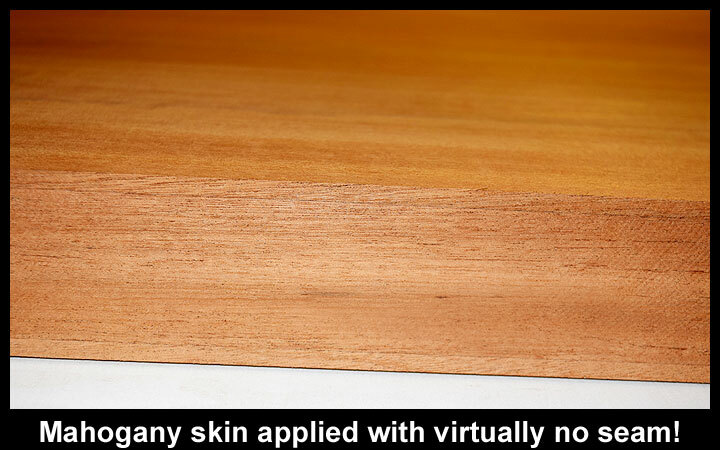 There are even more skins, that can be applied by your mill work. Your door can have light openings, kerfs, additional blocking and other custom design elements. Our doors can accommodate nearly every style. Just have your mill work customize your doors exactly the way you want them. Sing Core uses patented and patent pending methods that allow us to build stronger, up to 90% lighter, straighter, less prone to warping, and more visually appealing than any other large doors on the market. You cannot use SIP panels for these types of applications. There is no way to compare other panels to ours for making doors. 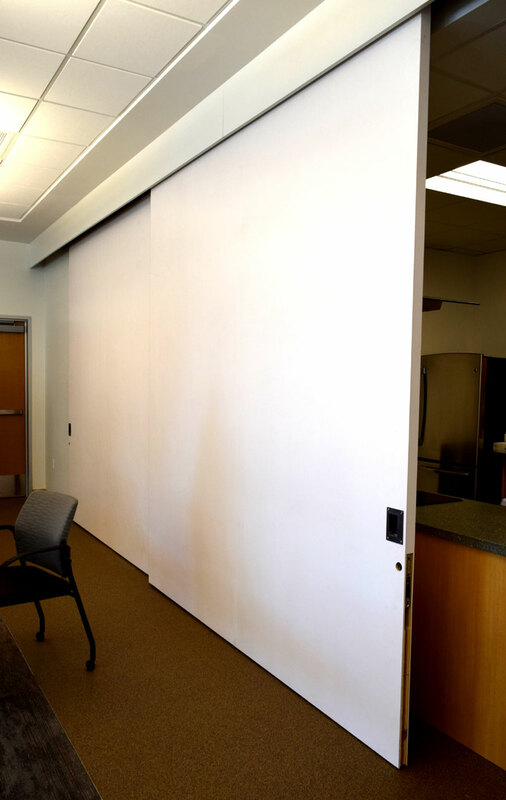 We have solved all of the challenges of making large sliding doors. Ultra strong, exceptionally light, warp free door cores are the only way to manufacture large sliding doors. Because other companies cannot keep their doors from being straight and strong, companies come to us to solve their large door problems.